Okay, so you probably noticed I'm obsessed with this bag. I've been doing a lot of emailing back and forth with the boutiques to get some info and hopefully get my hands on one of these babies. No go as of yet, but they have my name down for Anthracite or Nacre RGGH, Murier & Vert D'eau. Of course I won't get all four, but we'll see when it starts to arrive in stores. 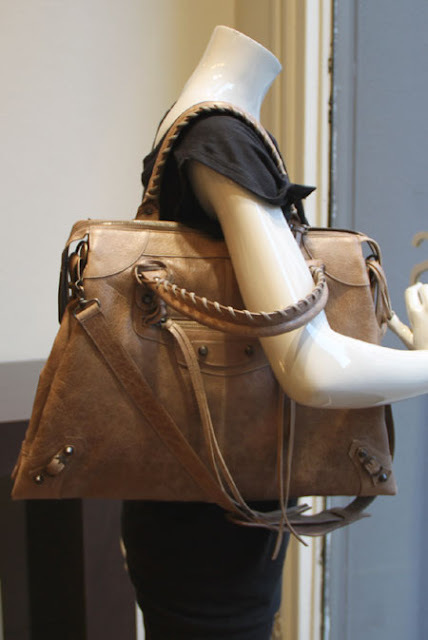 One boutique has even told me they are expecting the Hip in Covered Giant Hardware and Classic Hardware too! Such exciting news. I guess this style is a hit! No pics yet since they haven't arrived in stores yet. I was going over some old blog photos and found a tiny peak of a Murier hip in classic hardware. I wish it was of the whole thing, but good enough. ETA: As of 8/3, Cannes Boutique has Siegle, and Bois De Rose Giant Silver Hip in stock. Please ask for SA Sebastien. 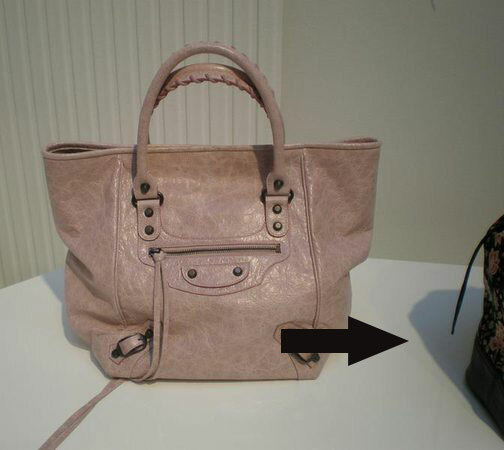 8/6 Bois De Rose Rose Gold Hip Available at Cannes, please ask for Sebastien. 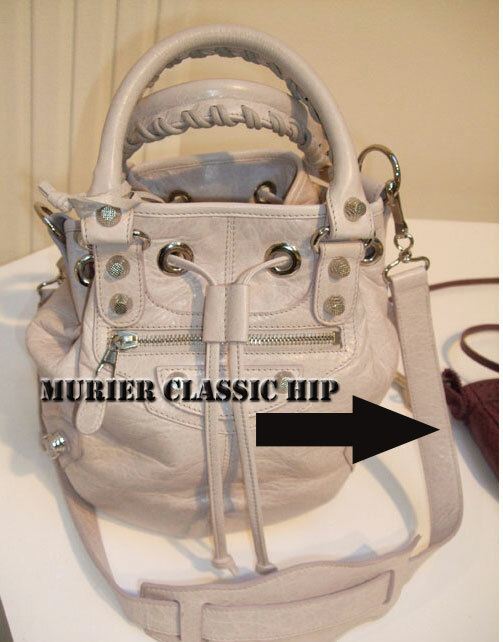 8/4 Costa Mesa Boutique has a Sorbet Giant Silver Hip available. Ask for Steve. 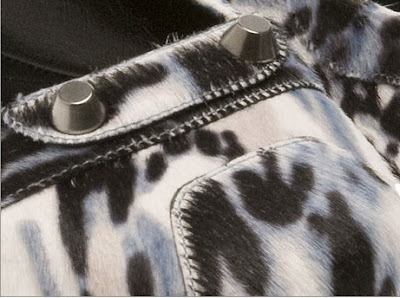 Bal London has none in stock, and will not be expecting any until the S/S 2011 season. 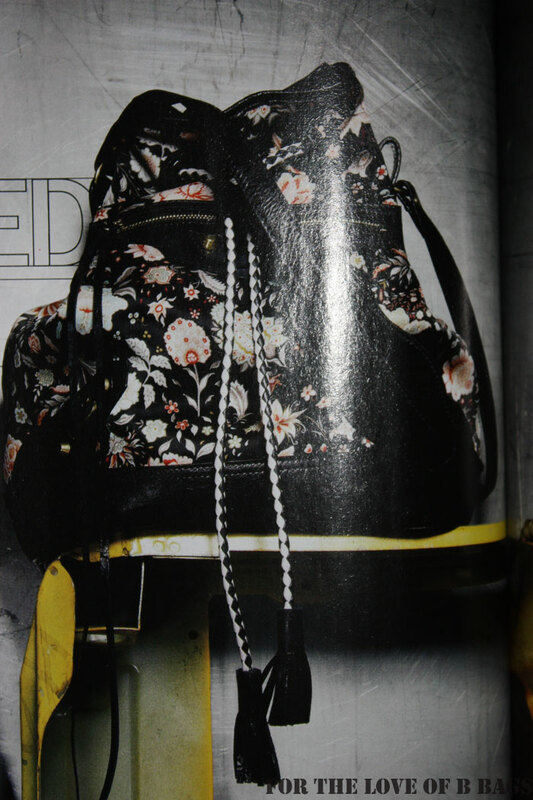 And here is a snippet of the Floral pom.. lol. Singer Nicole Scherzinger was spotted on July 29, 2010 in Hollywood, CA carrying her S/S 2010 Linen City with white leather trim. Unfortunately I am not a fan of these bags.. they look like they are made of straw! It may be a cute beach bag, if only I had that kind of cash to throw around. Nay for me. What do you think? Does Nicole pull this one off well? Gwyneth Paltrow, Jerry Seinfield and his wife Jessica were spotted a charity event hosted by the new Balenciaga boutique in East Hampton. Paltrow dazzled us by carrying what looks like a brown suede Lune clutch with Bal heels. Mrs. Seinfeld also looks to be wearing Balenciaga shoes as well. The event took place yesterday on July 28, 2010 and it is for the Baby Buggy charity which provides families in New York City clothing and other products for their babies and toddlers. Oh to mingle with the rich and famous is on my wish list! One day... haha. Yummy flats behind these three ladies..!! Images via Celebrity-Gossip.net and Just Jared. 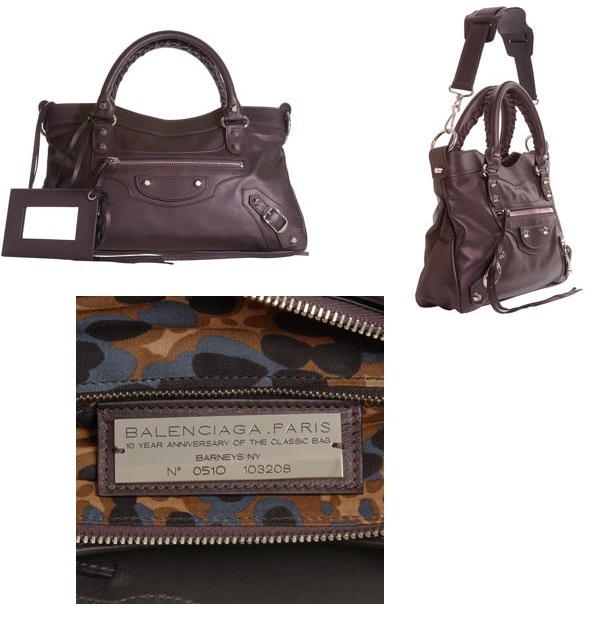 Just an interesting article that was posted today on the San Francisco Chronicle website about the Limited Edition Balenciaga bags at Barneys. It's probably not new to us Bal lovers, but since Bal makes it into the headline, it's definitely worth posting about! A 10th Anniversary Classic Bag by Balenciaga Paris is seen on Tuesday, July 13, 2010 in San Francisco, Calif.
San Francisco Chronicle July 28, 2010 04:00 AM Copyright San Francisco Chronicle. All rights reserved. This material may not be published, broadcast, rewritten or redistributed. In the post-It handbag era, a few have nonetheless joined the ranks of classics. 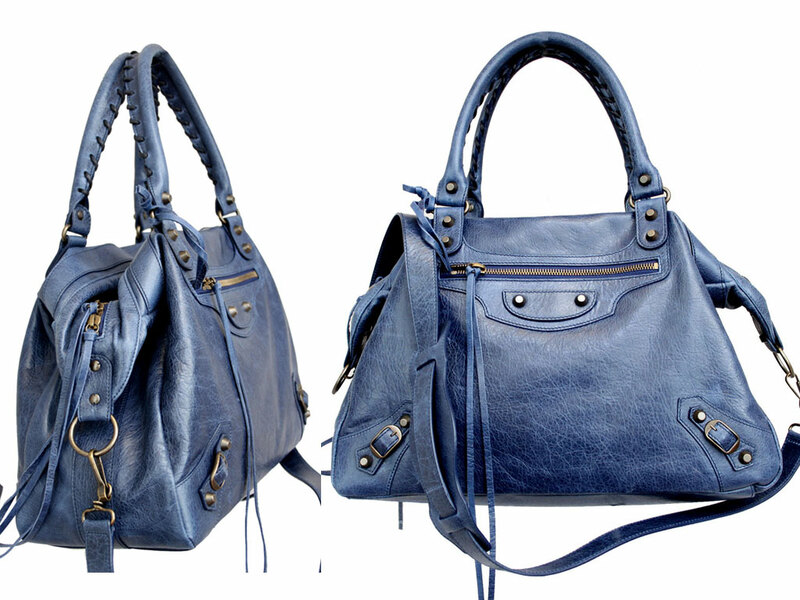 Balenciaga is honoring the 10th anniversary of head designer Nicolas Ghesquière's now-iconic fringed, double-handled motorcycle bag by reissuing exclusive editions to select retailers. The "First" design, for Barneys New York, comes in lizard-like black stamped leather and features signature brass hardware, a plaque marking it as an anniversary bag and - surprise! - a leopard-print lining. $1,245, Barneys New York, 77 O'Farrell St., San Francisco. Stephanie Pratt was spotted dining with her boyfriend Josh Hansen on July 27, 2010 at Katsuya in Hollywood, CA. She's wearing a playful romper with her white Balenciaga Covered Hardware City bag. I honestly don't get the trend of rompers right now, they seem so silly to wear.. I mean especially the ones without the buttons.. wouldn't it be a hassle to use the bathroom? I have to say that I am a sucker for Balenciaga print bags! I have not fully committed to them yet.. but I've own an 06 Toile Day for a few months and sold it because it was too "used" for my liking and currently have a mint Damask Stripe City that I'm trying to sell! 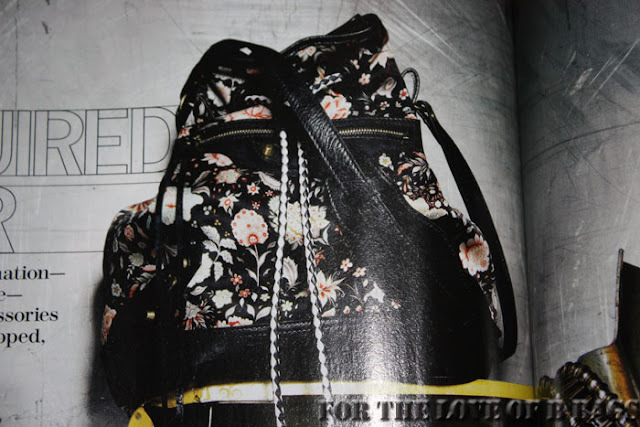 This bag is in the August Issue of Marie Claire (Dakota Fanning on the cover). It is priced at $1245. It has a very pretty red and white floral pattern against a black background. The drawstring is different too with a black and white diamond design and black tassels at the end. Even the hardware is different, it appears to be gold toned! This bag really pulls on my heart strings.. it is a very beautiful fall bag. 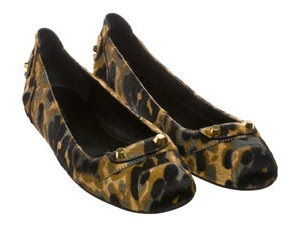 It will definitely compliment a drab winter outfit. I'm putting this one on my wishlist! ETA about getting some more information on this bag, Milan boutique does not have it, Cannes boutique asked me, "Is this a balenciaga bag?" and when I replied yes, I got no other response.. How professional! London said yes we're getting it in, but very limited stock. Waiting on the US boutiques answer. 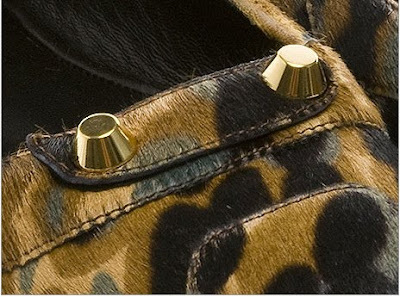 ETA 7/30: NY boutique says its part of the Spring 2011 collection.. so it may be a long while before this hits stores. I also believe that this is the Mini sized pom because it looks small compared to the boot on the opposite page. What do you think? Yay or nay? Kourtney Kardashian and son Mason were spotted out strolling in NYC today July 27, 2010. Kourtney wears a very cute striped top with black bubble shorts. 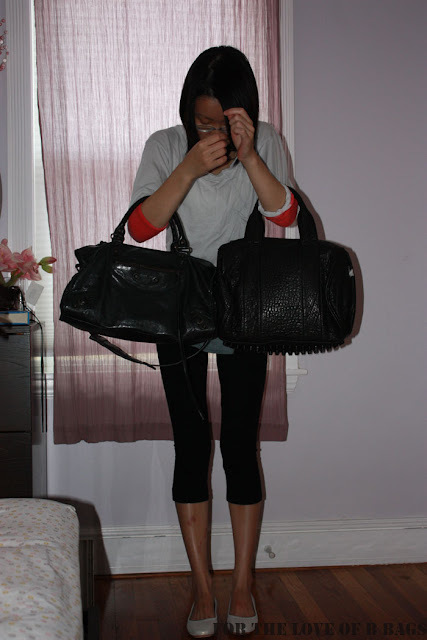 Kourtney hangs her Black Giant Gold Hardware City and Mason's Balenciaga Square Tote (his diaper bag) off the stroller! She is also wearing Balenciaga sunglasses. Can you tell the gal loves Bal? Can anyone ID Kourtney's top? I love it! Kim Kardashian was spotted in Santa Monica going into a restaurant for a dinner date with mom, Kris Jenner on July 24, 2010. She matches her Sahara Balenciaga City bag by wearing printed mini dress and strappy beige sandals like the pair sis Kourtney wore to the drugstore! Maybe they share clothes/shoes? Kardashian is always dressed to impress! She should try looking down-to-earth once in a while.. I really want to see that! 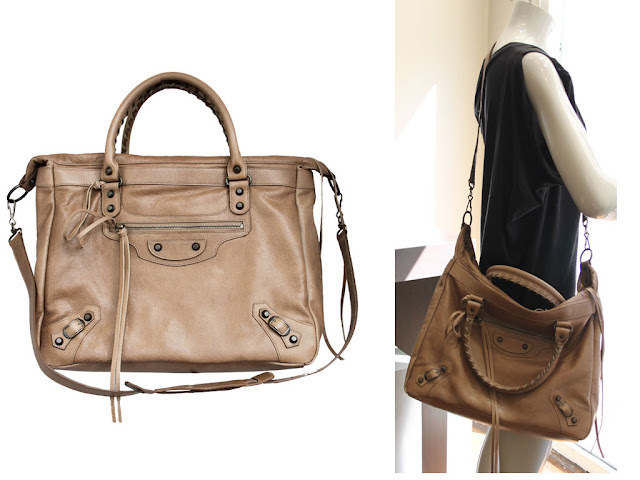 Boutique Cult Status of Australia has gotten in two of Balenciaga's newest style: the Trapeze and Strategy! In their blog they have posted some awesome and very informative pictures of these two bags. 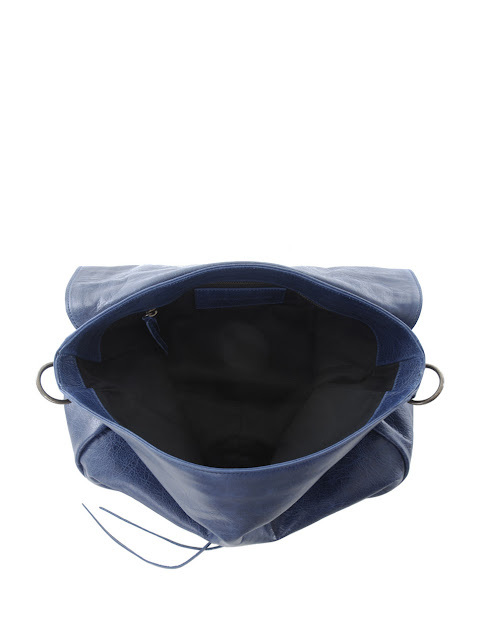 An interesting bit about the Trapeze is that is has not one or two, but THREE separate internal compartments.. can you say ORGANIZATION? That is pretty neat feature that I think Bal has not used yet. My guess it's called the Trapeze because of its trapezoid shape. 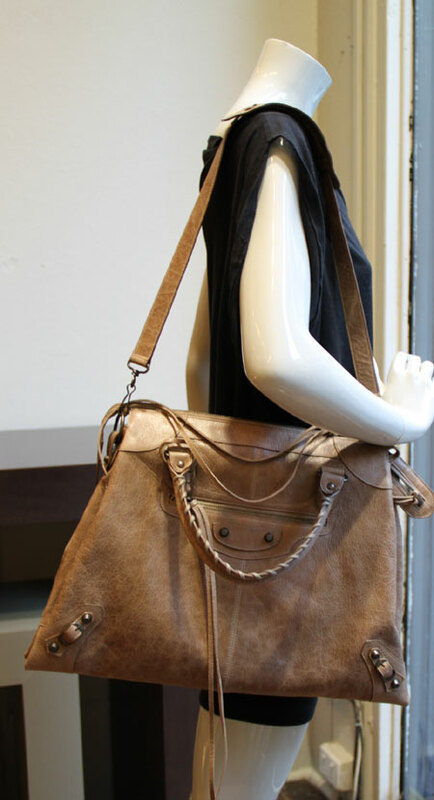 It does have a shoulder strap, but unfortunately is too short to be carried as a messenger. It reminds me of a Classic City but in a trapezoid shape. Yay or nay? 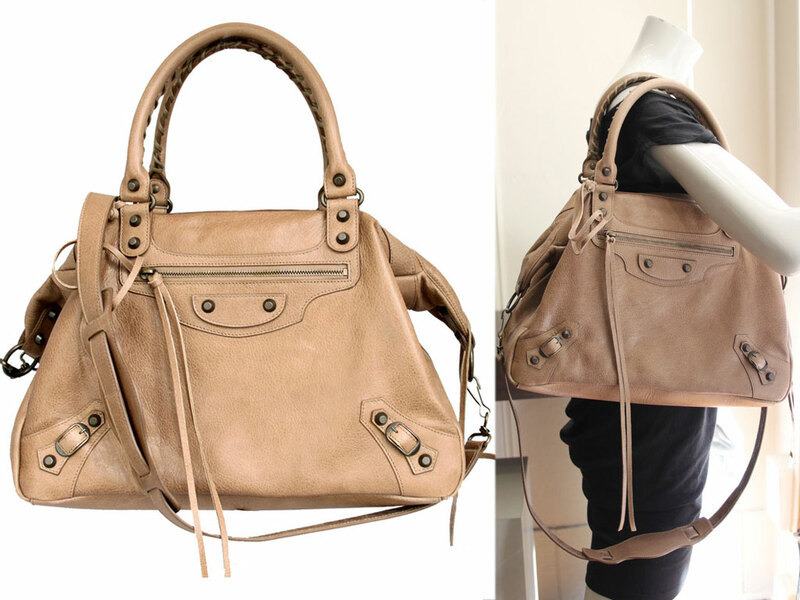 The Strategy is yet another new style that Balenciaga has devised for this Fall season, and this one CAN be worn cross body style. It appears that the Strategy already has that "broken in" slouch that many of us Bal fanatics love on our bags! It automatically slouches when things are placed inside, which is pretty cool! I think I like this one better than the Trapeze as it is more wide if you look at the side shots. 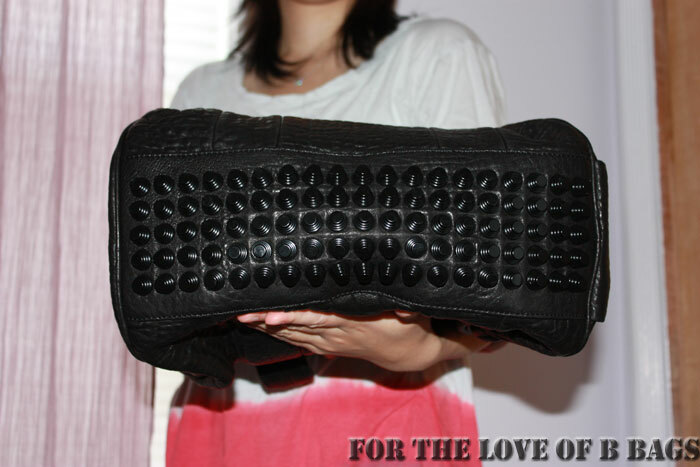 Would love to have this as an overnight bag! All images via Cult Status blog. 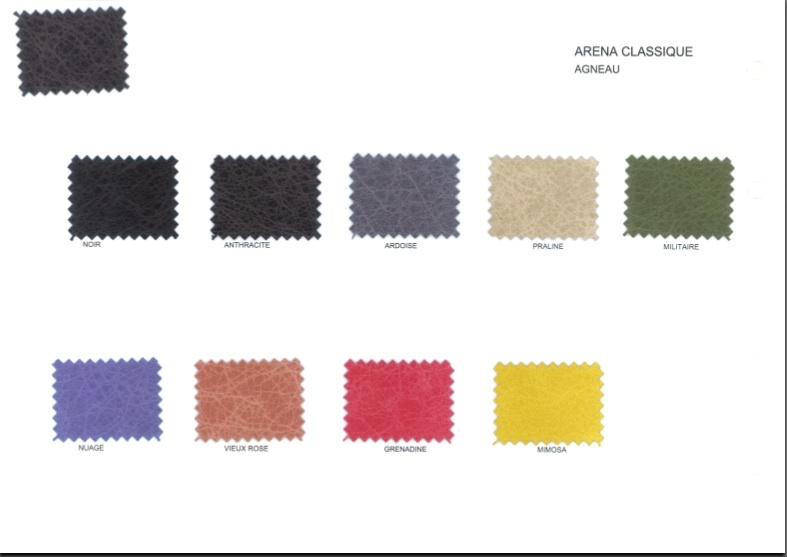 A lovely tPF member was kind enough to share the new color swatch for the upcoming colors of the 2011 S/S Pre-Collection. Needless to say, my wallet is safe! Vieux Rose looks cool, but I don't think I'll need it. I will post more information if I find any! Swatch via kawaii628 on tPF. 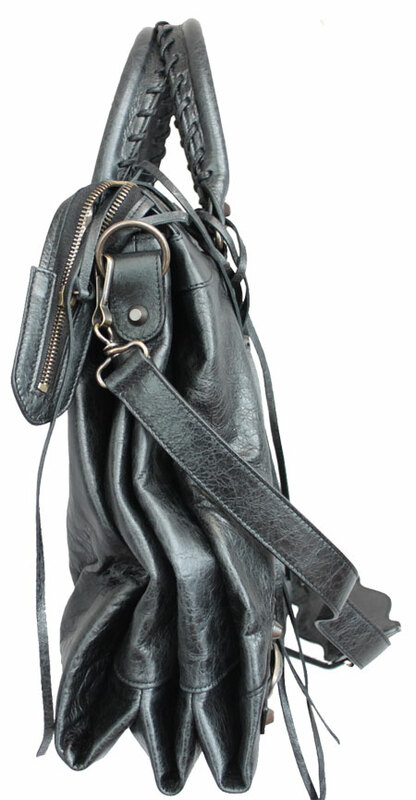 The Alexander Wang Rocco is definitely the next great trend in handbags. 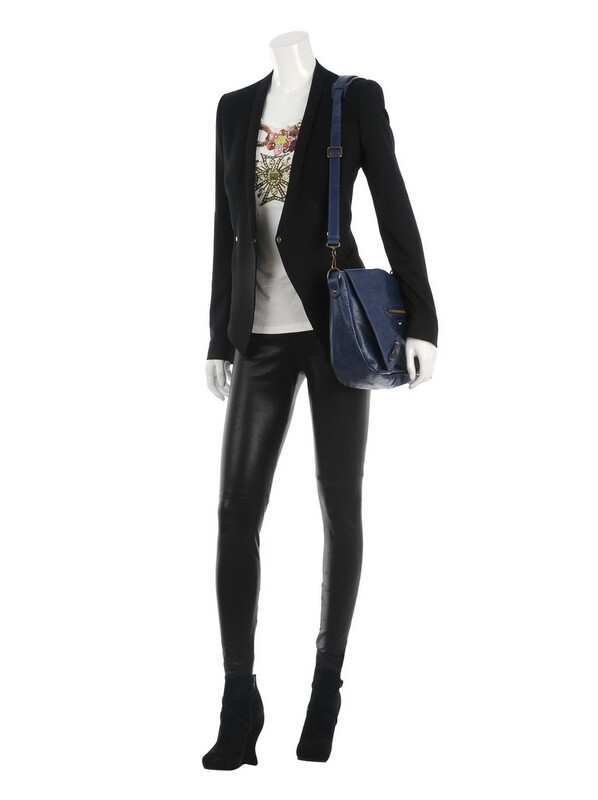 It is an all leather duffel that reminds us of the ever so iconic Louis Vuitton Speedy bag. I purchased this bag on a whim, but decided that this was not the bag for me. 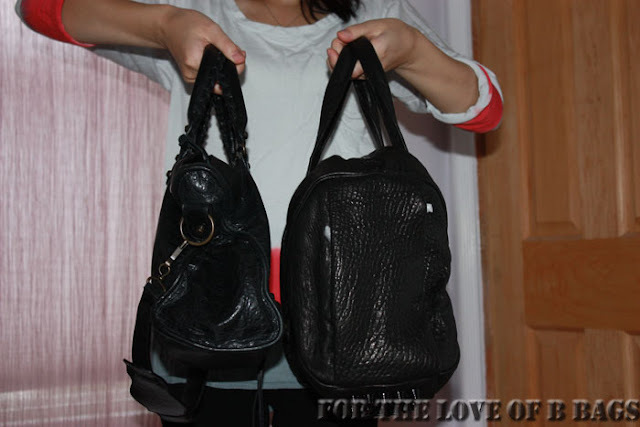 What I will do is post some interesting comparison pics between the Rocco and the City bag! In regards to the weight, it is definitely heavier than the Classic City, but I think it's about the same if not a little heavier than the Giant Hardware City. The heaviness in weight is contributed from all those rock n' roll studs on the bottom! The leather is nice and thick, and the pebbled texture is really cool. 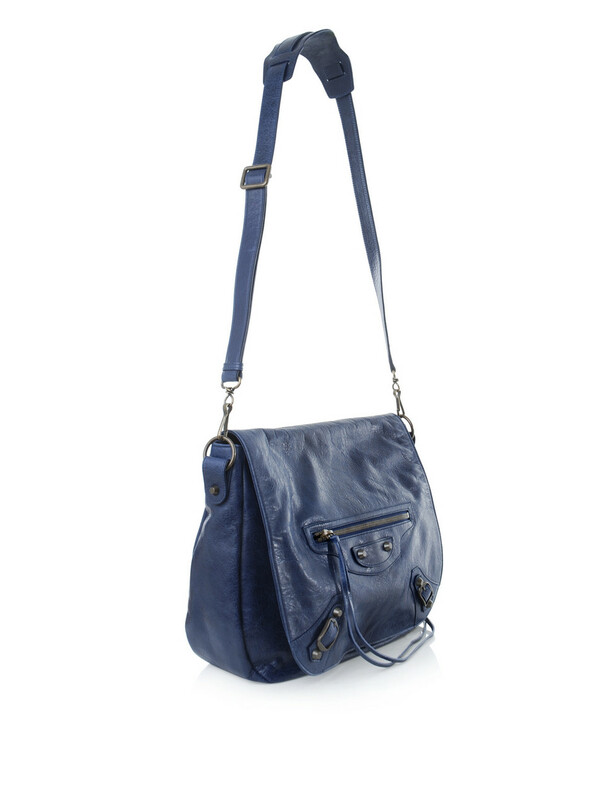 Definitely a chic bag right now because I've noticed a lot of celebrities sporting the Rocco. I like that the price isn't as sky high as Balenciaga, so its somewhat affordable compared to Balenciaga's prices. ETA: Today 7/26, I'm lowering the price to $550! One day only! Please email me at balenciagaloving@gmail.com if you're interested. You can email them at love@aloharag.com if you're interested, or if you would like me to forward you the list, please send me an email. Sorry for the picture-less entry! They do not want their pics posted up anymore! 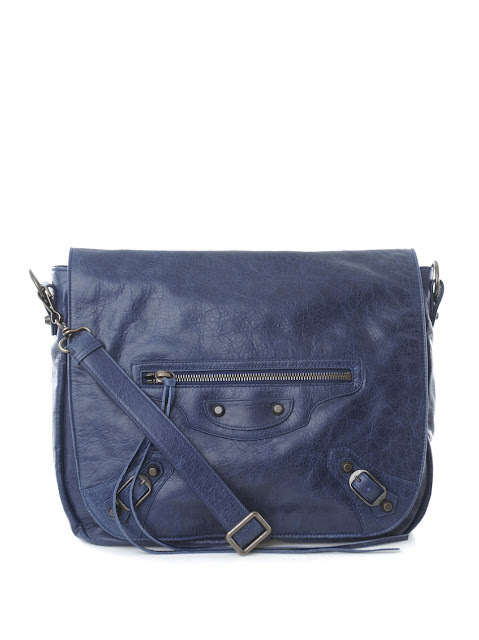 Matches has gotten in the Folk messenger bag in Blue Roi! It doesn't appear to be a humongous bag like the Courier either! Its measurements are 13"x11"x3.5". I like this new design, but I'm all about the "easiness" of the bag. My question is will I get annoyed of pulling the flap up and down in order to get access to my stuff? Heck, I never even zip my Bals so I can get in and out quickly! Love the look, but will be a nay for me. Has anyone purchased the Folk yet? Minka Kelly giving Derek Jeter a smooch with her Sapphire CGH Day! Looks good on her... very proportional to her height. From the famous lyrics of Amy Winehouse, "They tried to make me go to rehab, but I said no no noooo.." This pretty much sums up Lindsay Lohan's situation. Instead of checking into substance rehab, she was spotted checking into a sober living facility in Los Angeles, which is a place for recovering addicts usually resides. Surprisingly, her choice of bag for all of this is Balenciaga! Her life may be one big ole mess, but at least she's still got her bags right, haha. It looks like she is using her Balenciaga white Work bag with Classic Hardware as an overnight bag. Good choice Lindsay! Get well soon, and good luck in prison!! 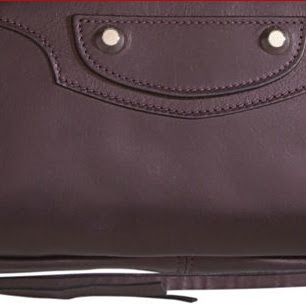 Not mine, but its now available on the Balenciaga.com site! It is cute, but too complicated for me. Remember the pretty and colorful interior lining of the limited edition bags? 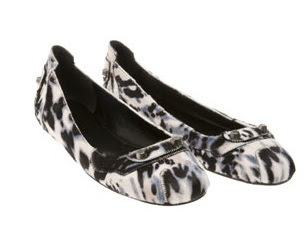 Well, Balenciaga is also making them for their flats! Brown's fashion has them in brown and gray & blue print for 395 British pounds, and are made of pony hair. The brown's hardware is gold, and the gray's hardware appears to be gunmetal. I like them, but question their durability. Pony hair against the elements of the weather while on the ground...? I'm not sure about that one! Check it out here at Brown's. Looking very chic, Aly Michalka and Ashley Tisdale were spotted in Vancouver on Tuesday evening, July 13, 2010. The two star together in the new WB series "Hellcats". 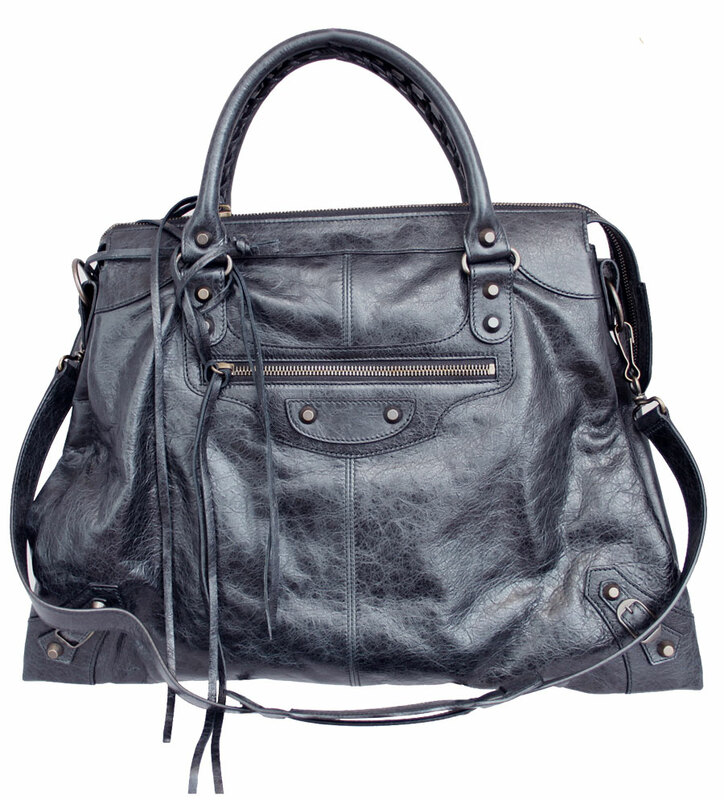 Aly is wearing a beautiful Balenciaga black Part-Time bag with Gold Hardware (the same style as Vanessa Hudgens). She looks casual yet cute in a drapey cardigan, and fringe sherpa boots. To shop Aly's look, click here for similar cardigan, here for similar tee, here for similar jeans, here for similar boots, and here for similar bag.